Country lovers, are you ready for another wonderful concert up ahead? That’s right, the Zac Brown Band are back with The Owl 2019 tour! With yet-to-be-announced special guests, they’re headlining the Jiffy Lube Live, Bristow on Sunday 25th August 2019!! No fan is going to want to miss out on this!! If their previous tours are anything to go by, tickets will sell out fast, so don’t delay – grab yours now!! Currently comprised of Coy Bowles, Clay Cook, Daniel de los Reyes, Matt Mangano, Jimmy De Martini, Chris Fryar, and John Driskell Hopkins and frontman Zac Brown, the Zac Brown Band were formed in 2002 and have been going strong ever since. Their touring schedule as of late has been packed – with two “Down The Rabbit Hole,” tours in 2018, they broke several records, including the most sold out shows in a row at Fenway Park, and performances to over half a million fans, continuing the tour into a second run in response to popular demand. “The Owl,” tour will make their third major tour within just one year!! 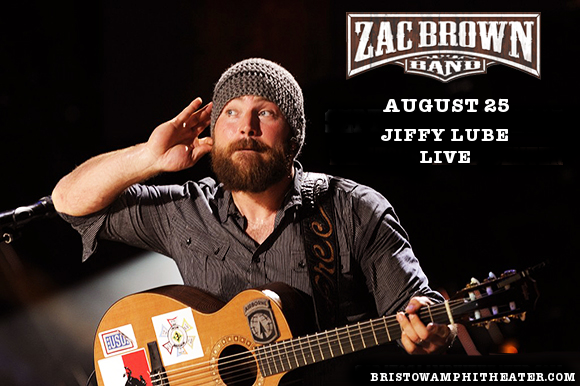 Get ready to experience the boundless energy of the Zac Brown Band live for yourself – get your tickets TODAY, before they sell out! !